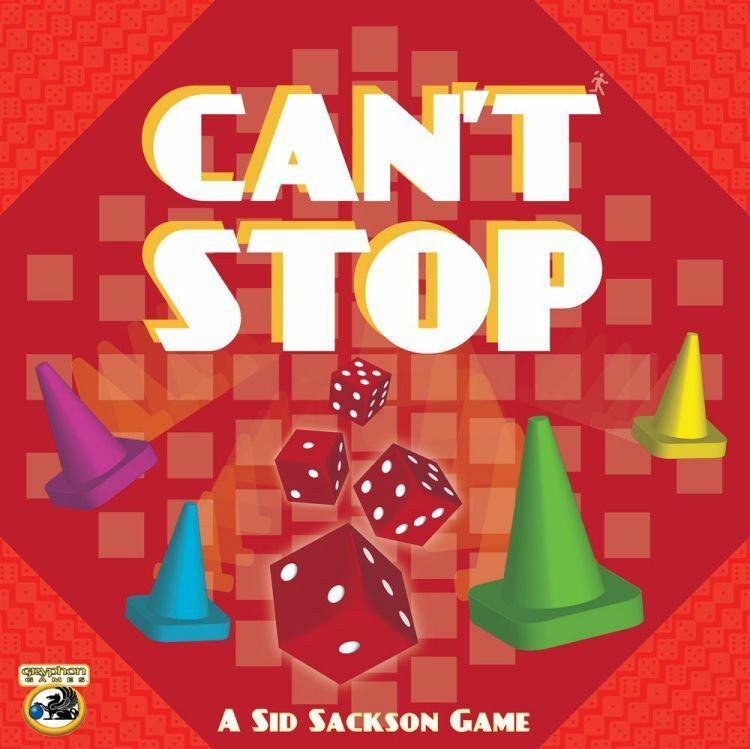 In this Sid Sackson classic, players must press their luck with dice and choose combinations tactically to close out three columns. The board has one column for each possible total of two six-sided dice, but the number of spaces in each column varies: the more probable a total, the more spaces in that column and the more rolls it takes to complete. On their turn, a player rolls four dice and arranges them in duos: 1 4 5 6 can become 1+4 and 5+6 for 5 & 11, 1+5 and 4+6 for 6 & 10, or 1+6 and 4+5 for 7 & 9. The player places or advances progress markers in the open column(s) associated with their chosen totals, then chooses whether to roll again or end their turn and replace the progress markers with markers of their color. A player can only advance three different columns in a turn and cannot advance a column which any player has closed out by reaching the end space; if a roll doesn’t result in any legal plays, the turn ends with that turn’s progress lost. A predecessor from 1974, The Great Races, exists as a paper-and-pencil game.